Your back hurts (join the club) and you go to see your primary care physician. Most of the time, your doctor will tell you to rest, maybe take some ibuprofen or ice the affected area. But when researchers looked at 841 people who needed additional care, they found that the ones sent first for MRIs were more likely to have surgery or injections, see a specialist or visit an emergency room than those who were first sent to physical therapists. And they (or their insurance companies) paid an average of $4,793 more. The reasons, said the study's lead author, are more likely found in the heads of patients and doctors than in anyone's back. MRIs tend to turn up all kinds of benign changes in spines and backs that occur as we move through life. But those prompt patients to look for fixes and to pressure doctors to refer them for those. "The patient may feel and exert some pressure to wanting to work it up more," said Julie Fritz, a professor of physical therapy at the University of Utah. "It just changes the mind set of everyone involved. It tends to accelerate the course of intervention." Take degenerative disc disease, for example. Most people older than 40 or 50 have it to some degree, Fritz said, but often not to the extent that it causes pain or other symptoms. But when an MRI turns up that ominous-sounding bit of news, patients often ask for therapy and primary care doctors can succumb, she said. "It motivates patients to want to do more to look for fixes for that problem, when it probably should be [considered] more like wrinkles and gray hair," she said. Another possibility is that some physicians have financial interests in imaging services, the study notes. 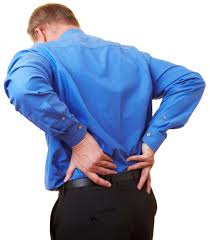 Low back pain is incredibly common and debilitating. According to one study, it causes more time disabled around the world than HIV, road injuries, tuberculosis, lung cancer, chronic obstructive pulmonary disease and pre-term birth complications. In the United States, Fritz's team noted in its paper, the direct cost of treating low back pain was $86 billion in 2005. Fritz and her colleagues set out to compare what happens to patients sent first for MRIs versus those sent directly to physical therapists. "Patients have expectations around receiving something perceived as beneficial," they wrote. "Breaking an expectation by denying imaging may be unacceptable to patients or providers. Consumer research suggests offering an alternative to replace the broken expectation is important to patients." In addition to seeking less invasive follow-up care, the people who went directly to physical therapists spent an average of $1,871, while those whose first move was an MRI spent an average of $6,664 in the year following their initial complaint to their doctors. With only a few hundred people in each sample, Fritz acknowledged, the cost figure was somewhat skewed by a small number of very expensive surgeries among those who had MRIs first. But overall, the cost difference is very clear. Physical therapy focuses on educating patients about what might be causing their back pain, assuring them that most problems subside in time, and engaging them in their therapy, even if the therapist is providing hands-on aid, Fritz said. Perhaps people who choose that option are more motivated to be part of clearing up their problem, or they may just profit from the approach; the research doesn't make that clear. Either way, "we think this is an area where our profession has something to offer, especially when it's timed correctly," Fritz said. "There's a place for advanced imaging. It's just not early in the course of care for most patients."